When you choose your garage door and accessories from Bouma Bros. Sales and Services Inc., you can enjoy the peace of mind of dealing with a company that has been family owned and operated from 1956 on. Our technicians are highly experienced and will not just meet your expectations; they’ll surpass them, every time. Call 616-452-4704 today to learn more. Holland encompasses a wide range of architectural styles, as you might expect from one of America’s oldest cities. 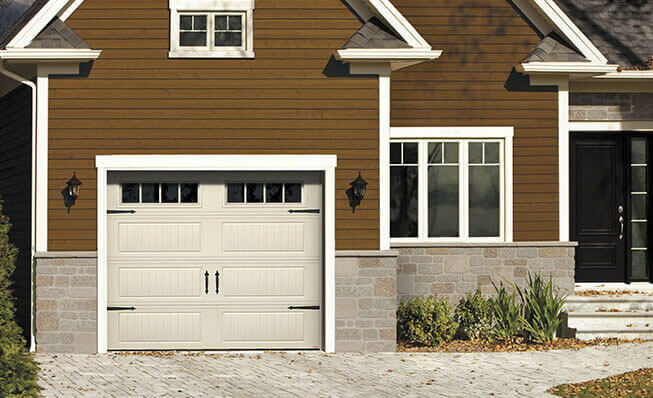 Whether your décor is modern, Victorian, Georgian, or a mix of styles, you can count on us to provide a new garage door that will suit your home perfectly and also blend in beautifully with the rest of the neighborhood. Our image gallery is a great place to get ideas, so check it out! Holland is a Pure Michigan delight. Located on the shores of Lake Michigan, you will love the activities, the community, and the lifestyle that makes Holland a favorite Michigan destination. From its Dutch traditions to its diverse cultural activities, Holland delights visitors and residents alike. If you need garage door repairs that just can’t wait, call us at Bouma Bros. Sales and Services Inc., for 24/7 emergency service. We’re there for you in Holland, Grand Rapids, Wyoming, Grandville, Jenison, Hudsonville Holland, Zeeland, Allendale, Standale, Coopersville, Sparta, Rockford, Greenville, Ada, Kentwood, Caledonia, Middleville, Cutlerville, Byron Center, Dorr. If your repair isn’t an emergency, we’ll still get to you as quickly as we can. At Bouma Bros. Sales and Services Inc., replacement and repairs are our specialties. If a part breaks and you need it, chances are we have it on hand. If you’re just looking for a little something in the way of accessories to jazz up the appearance of your garage door, we have that, too. Why would anyone want to live in Holland? Why would you want to live anywhere else? Michigan peoples love variable weather: snowy winters, warm rain in the spring, and summers that are just made for lounging at poolside with a cool drink. You don’t want the outside elements invading your home, though, and that’s why you need an insulated Garaga garage door. R-16 thermal resistance in the Cambridge and Standard + models deliver the ultimate in energy efficiency, and you can design it the way you like it by visiting our design center. Michigan and Ohio, however, have a large portion of Colonial-style homes as well due to their close proximity to the Northeast. The Standard+ and the Acadia Series are the perfect match to this home style. Classic, elongated or mixed raised panels fit perfectly to those home designs. The Garaga door system delivers quality that goes deep. It goes without saying that a garage door should have a great electronic opener. We recommend LiftMaster products for the best in performance. Follow I-196 E to Chicago Dr SW in Wyoming.